AAEM Resident and Student Association : Emergency Department Boarding: What Can We Do? In addition to contributing to ED overcrowding, boarding imparts significant clinical impacts on patients. Increases in boarding time have been associated with increased mortality rates. For instance, one study found an increase in the mortality rate from 2.5% for those patients boarded less than two hours, to 4.5% for patients boarded 12 hours or more. The same study also found that mean hospital length of stay increased from 5.6 days for those boarded less than two hours, to 8.7 days for those boarded longer than 24 hours. Boarding leads to inefficiencies in hospital flow, thereby causing a large financial burden on the hospital system. Thus, some hospitals have drastically increased their operational revenues by decreasing mean boarding times. While many may view boarding as an ED-centric issue, overall hospital flow plays a large role in ED boarding times. 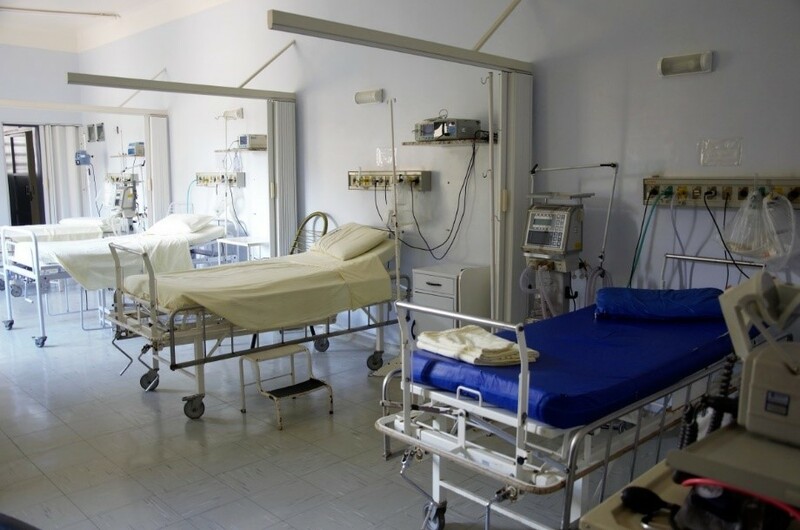 This boils down to the scarcity of inpatient beds secondary to delays in discharge, preferences for elective surgical patients, and differences in the balance between patient inflow from the ED and patient outflow from floor discharge. Unlike the ED, inpatient services often do not discharge patients at all times throughout the day, or during every day of the week. In fact, one study showed that patients are half as likely to be discharged from the hospital during the weekend. This results in a mismatch between the steady inflow of patients from the ED and fluctuating outflow of discharged patients. Different strategies have been implemented by hospitals to minimize boarding and improve hospital flow. Some strategies include active bed management by having a staff member solely responsible for tracking bed locations and availability (colloquially known as the “bed Czar”) or creating discharge lounges for patients who have already been medically cleared for discharge but have not left for logistical reasons. Additionally, some hospitals begin discharge planning at the time of admission to ensure post-discharge plans are established before the patient is medically cleared. Another solution that does not require additional infrastructure is boarding patients in an inpatient hallway rather than the ED. Studies have shown that 85% of patients prefer to be boarded in an inpatient hallway rather than the ED. This strategy has also been shown to increase the speed in which patients obtain their own room. Finally, hospitals can implement “surgical schedule smoothing,” a strategy in which elective surgical cases are scheduled throughout the week instead of earlier in the week, so that they coincide better with the admissions coming from the ED. The American College of Emergency Physicians (ACEP) recognizes boarding as having a significant impact on ED crowding and cite the methods listed above as being practices that may decrease ED boarding. The American Academy of Emergency Medicine (AAEM) also calls upon hospitals to avoid ED boarding and regulating agencies to issue rules forbidding the practice. A relatively new avenue to decrease boarding includes tying hospital reimbursement to median boarding time, which is now a national reportable core measure. Boarding demonstrates an interesting interplay where inefficiencies in patient discharge lead to inefficiencies in patient admissions. The changing nature of healthcare delivery in the United States has increased the role of EDs in patient care and hospital productivity. With nearly half of all hospital admissions coming through the ED, hospitals will not only improve patient care outcomes but also minimize financial burden by implementing hospital flow strategies specifically tailored to decrease patient boarding in the ED. Important first steps to establishing a culture of decreased ED boarding times include spreading awareness of the issue and creating a policy of boarding admitted patients in the inpatient hallways. 1. Chalfin DB, Trzeciak S, Likourezos A, et al. Impact of delayed transfer of critically ill patients from the emergency department to the intensive care unit. Crit Care Med. 2007; 35(6):1477-83. 2. Government Accountability Office. Hospital emergency departments: crowded conditions vary among hospitals. Washington (DC): Government Printing Office; 2003. 3. Pitts SR, Vaughns FL, Gautreau MA, Cogdell MW, Meisel Z. A Cross-sectional study of emergency department boarding practices in the United States. Acad Emerg Med. 2014;21(5):497-503. doi:10.1111/acem.12375. 4. Richardson L, Rabin E, Oishi M, Miori HH, Gardner A, Schneider S. National overview of boarding in emergency departments (NOBEDS) Part 1: boarding practices and use of strategies to reduce crowding and boarding in U.S. emergency departments. Acad Emerg Med. 2010;17:s90. 5. Singer AJ, Jr HCT, Viccellio P, Pines JM. The association between length of emergency department boarding and mortality. Acad Emerg Med. 2011;18(12):1329. doi:10.1111/j.1553-2712.2011.01236.x. 7. Viccellio P, Zito JA, Chohan J, et al. Patients overwhelmingly prefer inpatient boarding to emergency department boarding. J Emerg Med. 2013 Dec;45(6):942-6. doi: 10.1016/j.jemermed.2013.07.018. Epub 2013 Sep 21. 8. Wong H, Wu RC, Tomlinson G, et al. How much do operational processes affect hospital inpatient discharge rates? J Public Health. 2009;31(4):546-53. doi:10.1093/pubmed/fdp044.